Today is Election Day! Help students understand why voting matters with this week’s CLP Current Event. CLP: Lists voter information for every state and Washington, DC. 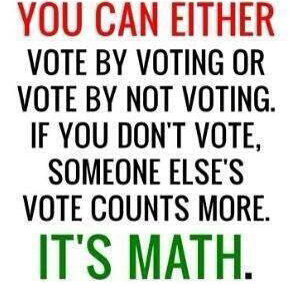 Is voting important? Why or why not? How do hateful events affect our voting? Does voting provide an outlet to define who we are as American citizens? Is voting an obligation of citizenship? Is low voter turnout a problem? Who votes? Who does not vote? Are young voters encouraged to participate? What knowledge should voters have before voting? Do midterm elections predict presidential elections? What are the impediments to voting in the United States? What is gerrymandering? How do the shapes of voting districts affect voting? Is a voter identification requirement helpful or hurtful to voter turnout? Should election day be a national holiday? Should elections be on a non-work day? Should states consider vote by mail? Are elections secure? How could we improve election security? Should there be a right to vote enshrined in the Constitution? What are the voting amendments? What is the history of the struggle for voting rights? What does this history suggest about the importance of voting? How might restrictions on campaign financing impact elections? What are the voting statistics in other countries? What can we learn from the way elections are handled in other countries? Should voting be compulsory? Why or why not? 8.17 Examine the development activities of political parties and interest groups and their affect on events, issues, and ideas. HS.28 Evaluate how governments interact at the local, state, tribal, national, and global levels. HS.29 Examine the structures and functions of Oregon’s state, county, local and regional governments. HS.30 Analyze the roles and activities of political parties, interest groups and mass media and how they affect the beliefs and behaviors of local, state, and national constituencies. HS.33 Explain the role of government in various current events. HS.35 Examine the pluralistic realities of society (e.g., race, poverty, gender and age), recognizing issues of equity, and evaluating need for change. Unit 6, Lesson 30: How might citizens participate in civic affairs? Unit 6, Lesson 33: What does it mean to be a citizen? Unit 6, Lesson 34: What is the importance of civic engagement to American constitutional democracy?